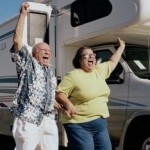 Going on an RV trip has become popular for families, friends, and even seniors to go on a trip together. 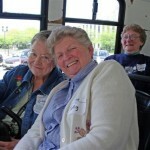 In fact, there are already a lot of seniors who find RV trips to be one of the most fun and exciting activities for seniors. 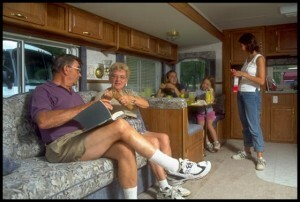 RV trips allow travelers to travel far from home in the comforts of their own RV. RVs are even considered to be a “home away from home”, since RVs usually have all the necessary things in a home, such as kitchen, bathroom, and even a bed. Before going on an RV trip, there are things that need to be considered. 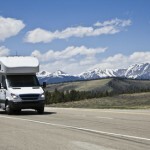 It is very important to determine or know which part of the country you are going in your RV trip and what route to take. Once you have decided on where you are going, you can then check out that place’s campground directories, travel guides, and/or tourism guides. Inquire for several campgrounds and if you have already decided which campground to go, book in advance for a sure slot. You can also look for campgrounds that have showers, laundries, dumping system, electrical hookups, grills, and even cafeterias. 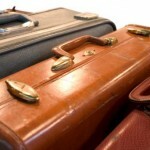 Plan ahead of time for the things that you will need to pack. You will have to pack for the kitchen, food, clothes, basic needs, and even for emergencies. To make sure that you have everything you need packed during your RV trip, making a checklist ahead of time can be done. 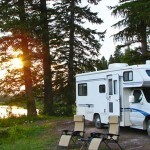 There are even checklists for things needed during an RV trip online that can be copied, modified, and downloaded. One thing that is also important when inquiring about campgrounds is that if their security features are good. Ask if unauthorized people can enter the campground without permissions, etc. Always remember that there is nothing wrong when asking too many questions just to be sure, rather than asking nothing. 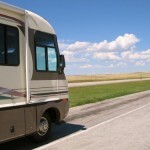 If you are on a budget when going on an RV trip, try to estimate how much money you will have to spend for gas. Gas prices may vary from one place to another place. You can search earlier for gas stations online that can offer the lowest price possible. Looking for gas stations that can also accommodate recreational vehicles can also be a good idea.